I get keep get this when I open sgpro. What am I doing incorrectly? I think what is still needed is that the catalogues should still be downloaded and installed. They are rather large (well over 400Mb each), so it will take some time. 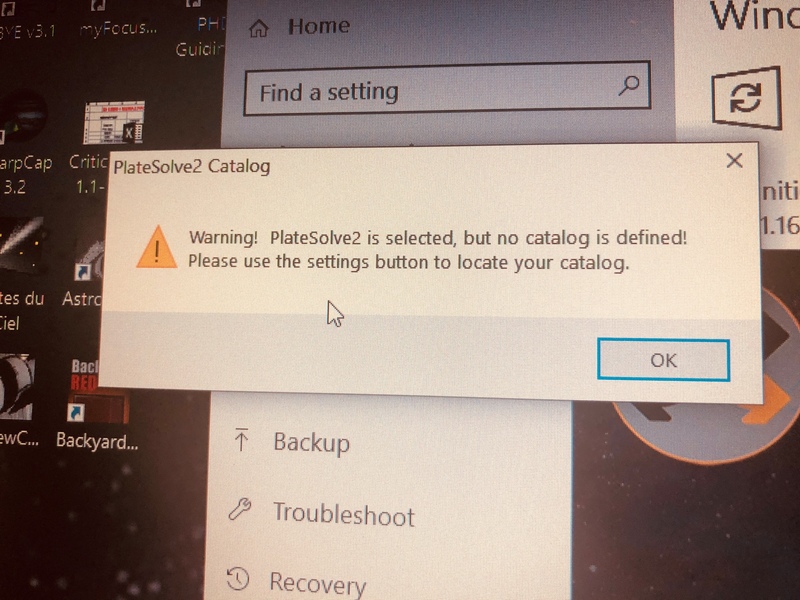 Hit the Select Directory buttons (D) to point PS2 to the data you downloaded. Close all windows and PS2 should be running as expected. 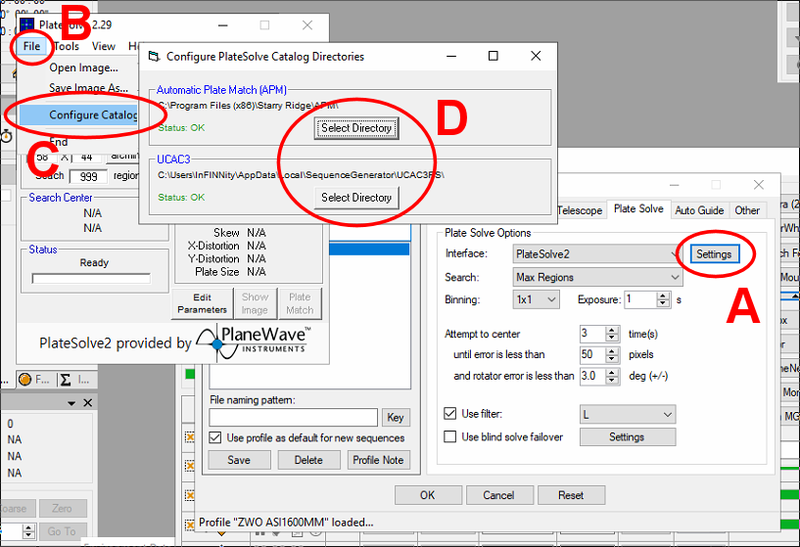 PS do not forget to apply the profile to you sequence (in SGP main menu click File, then Apply Profile to Sequence, choose the profile you just have been editing). Awesome! Thank you for your assistance. I will give that a try and let you know how it goes.